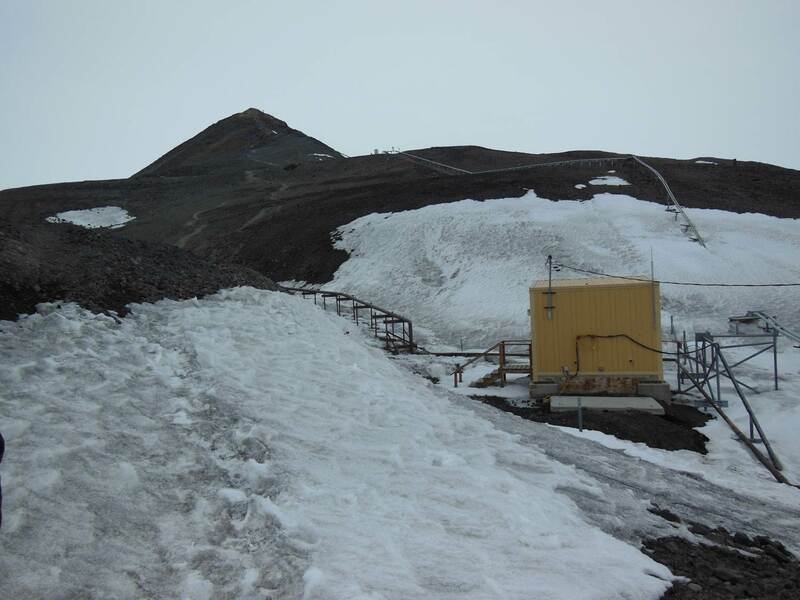 A team from NASA’s Operation IceBridge recently traveled to Antarctica to conduct a site survey of U.S. Antarctic Program facilities at McMurdo Station in Antarctica. From Dec. 6 to Dec. 13, IceBridge project manager Christy Hansen, NASA P-3B pilot Matt Elder and NASA flight engineer Brian Yates met with people from the U.S. National Science Foundation (NSF), the U.S. Antarctic Program’s Antarctic Support Contract (ASC) team and 109th Airlift Wing of the New York Air National Guard to study the feasibility of operating NASA’s P-3B research aircraft out of Antarctica. Large airborne science missions like IceBridge are a significant logistical undertaking, requiring runways, aircraft maintenance facilities, fuel, electrical power and facilities to house mission personnel. This site survey is in preparation for an upcoming meeting with NSF to discuss possible future options for expanding IceBridge’s mission into previously unsurveyed parts of Antarctica. All U.S.-based science operations in Antarctica are required to go through NSF’s Office of Polar Programs (OPP) to receive official approval and support. 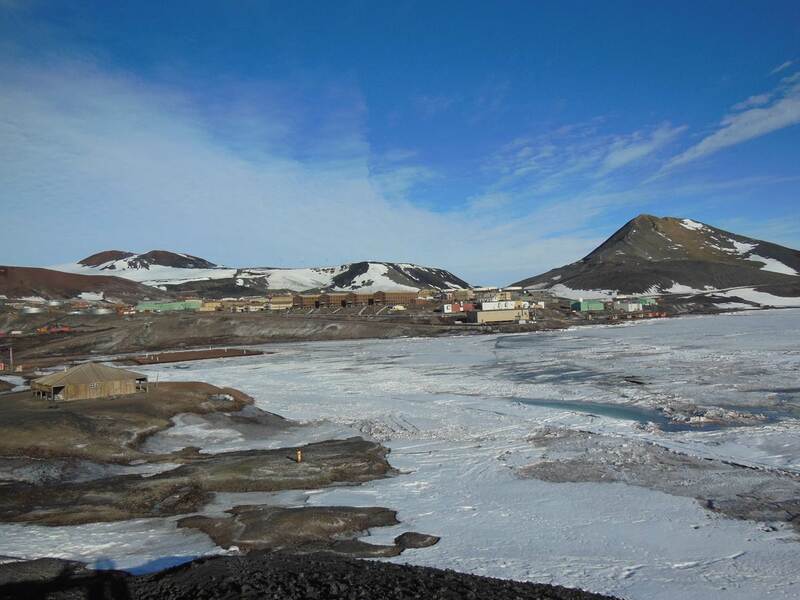 Because OPP and the 109th AW handle logistic and airlift operations for McMurdo and other U.S. scientific stations in Antarctica, IceBridge has to coordinate operations with them. IceBridge has a history of working with the 109th AW during previous Arctic campaigns in Greenland. First, the team traveled to Christchurch, New Zealand, a jumping off point for travel to Antarctica. There they met with USAP ASC and 109th AW personnel to determine the logistics needed to support NASA’s P-3B, checked out cold weather gear needed for Antarctica and prepared for the transit flight from Christchurch to McMurdo. 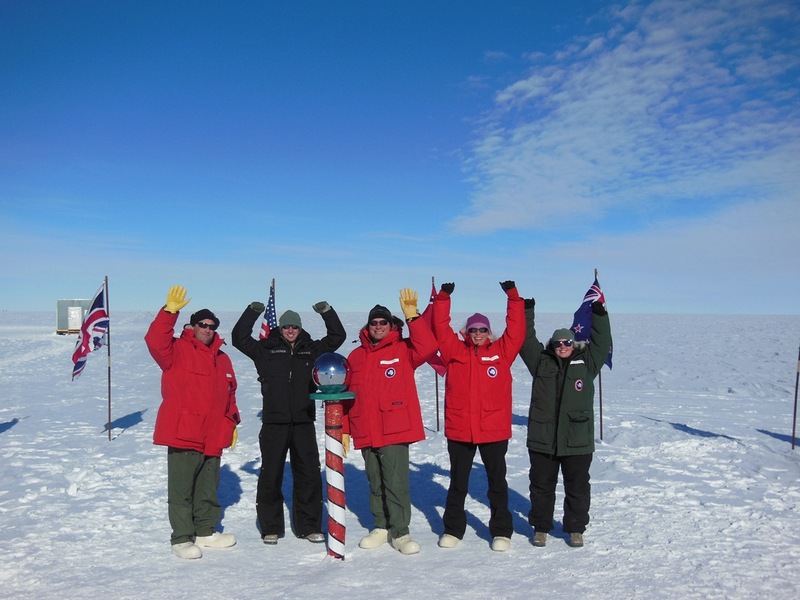 “The [U.S. Antarctic Program] and 109th guys welcomed our attendance, questions and shared some of their general flight experiences with us,” said Hansen. After arriving at McMurdo, the survey team got to work meeting with various people to discuss IceBridge’s needs and how the mission would fit into overall operations there. With many airborne operations going on at McMurdo, flights will need to be carefully scheduled and coordinated. This is to avoid interfering with existing takeoff, landing and fueling operations. In addition, some of IceBridge’s scientific instruments require power at all times. This would mean finding a way to route power to the P-3 or run a generator near the aircraft when it is parked. The cold, unpredictable and rapidly-changing weather in Antarctica adds an extra layer of difficulty to flying and maintaining aircraft there. Elder and Yates met with 109th AW personnel to discuss the finer points of operating and maintaining aircraft in Antarctica’s challenging conditions. For instance, operating in Antarctica means that the P-3B may need a few modifications to make it compliant with existing airfield capabilities at McMurdo and meet the unique challenges of flying in the Antarctic. For example, lines of longitude converge at the pole, meaning the P-3B needs additional navigational systems. The P-3B is only part of the overall picture though. With flight crew, scientists and instrument operators, IceBridge has a fairly large personnel footprint. This means arranging lodging for people and providing space and power for instrument teams to set up their equipment, including GPS ground stations, gravimeter and magnetometer instruments and various computers.